It’s Time To Practice Your Music! 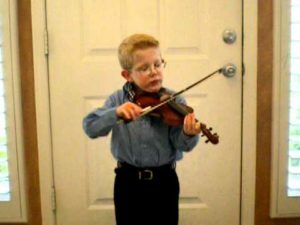 L ittle Harold was practicing the violin in the living room while his father was trying to read in the den. The family dog was lying in the den; and as the screeching sounds of little Harold’s violin reached his ears, the dog began to howl loudly. I am not a good singer, and I am self-conscience of my voice. But that doesn’t keep me from singing because I do love to sing. After all the Bible says in Psalm 66:1, “Make a joyful noise unto God, all the earth.” I always think God must have included that verse for me! They say, “Music washes from the soul the dust of everyday life.” I believe those words. There have been times of sorrow, depression, and sadness in which I found it hard to keep my mind and heart from constantly dwelling on them. I’ve often said,” It’s a long way between my head and my heart.” When we don’t understand our circumstances and find ourselves in hard places, we often want to rely on our knowledge, experience, and know-how to make everything better. But in our hearts, we feel afraid, worried and confused. There have been times in these last few years that my head knows all the Bible verses and promises from God’s word, as well as all the praise and worship songs. But my heart still says, why? Have you ever had those feelings?? I have found over the years when I listen to music it lifts my spirits. It is something that gives me energy and joy when I can turn up the volume and sing as loud as I want. 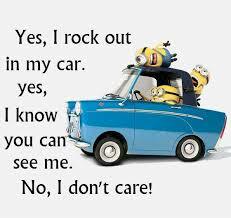 I have found the car is a perfect place for my personal concerts also. Thank you, dear friends for spending your time with me, Do you agree? I would love to hear what you think. Previous Post: Didn’t You See the Stop Lights ? Next Post: Is Anyone Watching, Swimming lessons anyone?